Parkinson’s disease is on the rise. Several scientists are cautioning that it may reach pandemic proportions. 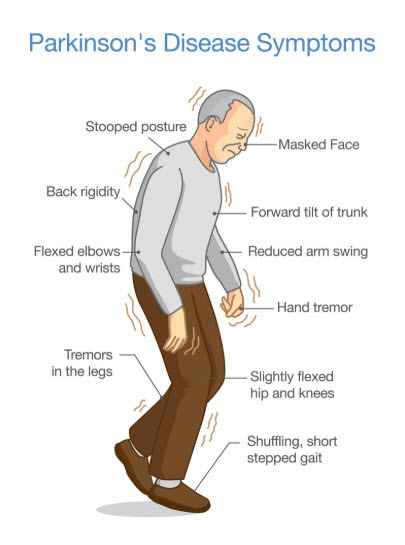 Parkinson’s is a neuro-degenerative condition that develops slowly. It affects the motor regions of the central nervous system and over time, even simple movements become difficult. As the disease progresses, dementia sets in. Historically, Parkinson’s was rare. In 1855, for example, only 22 people in the United Kingdom died from this disease. Today, the picture and statistics are grimly different. Indeed, in the United States, the National Institutes of Health (NIH) estimates that 500,000 people are currently living with this disease. Overall, neurological disorders are the leading cause of disabilities today. And Parkinson’s is the fastest-growing. Just look at these numbers. In 1990–2015, the number of people with Parkinson’s doubled to 6.2 million. Projections show that by 2040, this number will reach 12 million people. The term “pandemic” is normally associated with diseases that can spread from person to person. But Parkinson’s has never been classified this way. Parkinson’e can now be found in every region on the planet. Pandemics usually move geographically. Parkinson’s is moving from West to East as the demographics change. What is causing the higher risk? Scientists believe increasing industrialization is a major cause. The by products of manufacturing such as pesticides, solvents, and heavy metals, have been linked to Parkinson in previous studies. For instance, China, a country with tremendous industrial growth has the swiftest increase in Parkinson’s disease. Pesticides may also be responsible for triggering this disease. Paraquat, is strongly linked to this disease and is now banned in 32 countries. In spite of the bans Paraquat is still sold and used the United States, Taiwan, the U.K., and South Africa. Social activism may help in reversing the spread of Parkinson’s disease, much the same way it did for HIV and breast cancer. Next, production of toxic chemicals needs to be stopped. In addition, more research is necessary to find the specific mechanisms that rigger this disease. And new medications are also necessary. The current drug, Levedopa is over 50 years old and comes with with both psychological and physical side effects. Subscribe to our Split Rock Blog and receive our exciting updates!